Thomas Anders & Modern Talking Band in Focsani (Romania) 8.10.2017 - Thomas Anders Online - Die offizielle Fanpage! On the first weekend in october, the Municipality of Focșani, a city located in eastern Romania, organized the Wine and Vinegrape Festival, a mix of traditional winery, food and music. 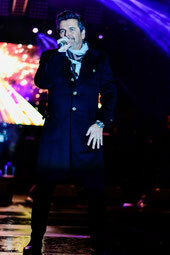 The festival headlined Thomas Anders and the Modern Talking Band on Sunday evening, with Romanian pop acts as openers. 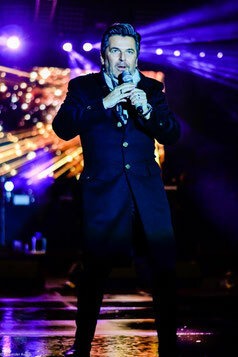 The weather suddenly changed during the weekend, bringing rain and unnatural cold atmosphere, but the chilly weather was no problem for the people who gathered in the Unirii Square in a big audience to enjoy some good Moldavian wine and the finest tunes from the Gentleman of Music. Luckily, the rain stopped and the moon raised on the sky just before Thomas Anders entered the stage in the applause of the fans, around 11PM. 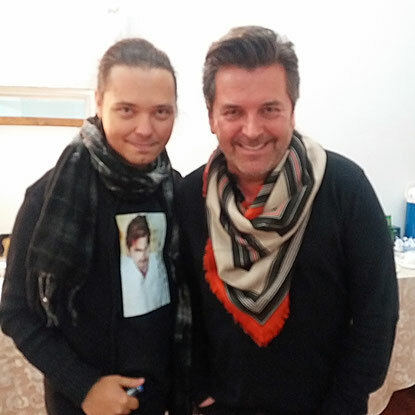 Thomas showed us a wonderful shape, entertaining his fans with the worldwide famous hits of Modern Talking, some of his solo songs, all stuffed with fine jokes and soul to soul interaction with his fans. 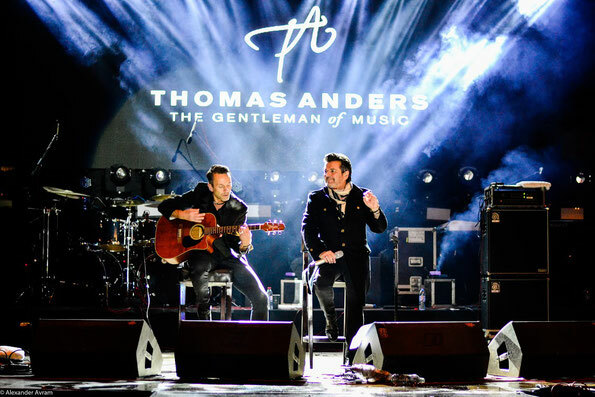 Not only Thomas felt at home on the stage in Focsani, but also the guys from the Modern Talking Band, as Lars Ilmer, Wolfgang Cornet, Nick Scharfschwerdt and Dirk Hauröder played their instruments for almost an hour. Even if he had to play his guitar with a broken finger, Lars showed us his virtuosity especially during the acoustic version of “You’re My Heart, You’re My Soul”. The cheerful crowd in Focșani was very responsive to the stories Thomas Anders told, danced and cheered to the positive vibes of the Modern Talking tunes, even if Thomas had to admit he looks no more into faces nowadays, but into smartphones, tablets and cameras. Everybody knew the lyrics of the songs, singing along even his most recent singles, such as Lunatic Girl. Some people even guessed the order of the songs in the program, surprising Thomas with their knowledge of his most recent work. 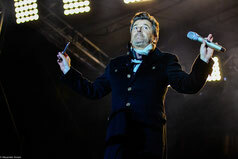 Thomas Anders and his band left the stage shortly before midnight, while fireworks started shooting just above the square, to the delight of the people who warmed themselves with hits spawning ore than three decades. Thomas left Romania declaring that it is a country that he loves and with promises to come back soon, for another memorable night!